OVER 350 BEERS AND CIDERS TO CHOOSE FROM, GO ON... HAVE A SCROLL DOWN! 4 Pines was born over a decade ago from a casual conversation between a father and son, post surf, who simply wanted an exceptional beer and options were limited. We really, really love good beer. Our goal is to introduce people who have never experienced such flavours & aromas, to beer – & turn them into beer lovers who have a genuine appreciation for how good it can be! Artisan is a family owned boutique craft brewery created in late 2014 by Brian Fitzgerald (Australia's first Cicerone) and Julia Fitzgerald. Specialising in single batch Belgian inspired ales, we pride ourselves on focusing on seasonal brews with interesting flavours and longevity - just like fine wine. Our specialty ales fit nicely in prestigious craft beer venues throughout WA who are looking to differentiate their craft beer offerings to a more sophisticated clientele. We've enjoyed great success at local (Perth Royal Beer Show) and international beer shows (Australian International Beer Show) in our very short history and are dedicated to continuing offering the highest quality hand crafted ales. More than just a name, BALTER is the sense of enjoyment you get from doing something you love, whether you’re good at it or not. The cool thing is this enjoyment can be found anywhere. You could be winning world titles, or simply feeling triumphant because you’ve navigated the mind bend of putting an ikea shelf together. Its purest origins can be found at the end of a good day’s work when you sit back, sip on an epic beer and go… aaaah! At Balter, we’re all about celebrating that enjoyment with you, because beer is more than just a drink: it draws tribes together and is a companion to many great moments in life. Our #1 philosophy is that your taste buds come first. A neat can and cool place to hang are great, but if our brews don’t tickle your tongue and put a grin on your head then we haven’t done our job. Our philosophy to cider-making is "minimal intervention" so that we retain as much of the natural characteristics of the apples as possible. This ensures that there are 3 1/2 Batlow Apples in every bottle and unlike many commercial ciders, Batlow Premium Cider contains no concentrates or added sugars and is gluten free. Batlow Apples have been "Australia's Favourite Apples" since 1922 and remains 100% Australian & grower owned. Having come from all walks of life and different corners of the world… some from beer, some from good times and some simply from their parents, the star’s aligned after an initial venture on the East Coast decomposed. Beerfarm is for people who love genuine experiences. We don’t care who you are, or what you do – all people are welcomed with a smile and a schooner. Beerland Brewing Co. is an independent Western Australian owned brewing company. Operating out of two small breweries embedded in craft beer venues, Northbridge Brewing Co and Whitfords Brewing Co.
A small but integral part of the WA craft scene, our aim is to produce a core range of authentic high quality craft styles principally for our Beerland venues and a range of Limited Edition beers that add variety at the bar and often challenge contemporary notions of beer style. Brewers of small batch beers that do not follow the norm. We also provide complete contract brewing services to help lower the barriers to market entry for who share our passion for craft beer. Our bar setup is friendly and relaxed where you can sit among the tanks and see the beer being made right from your bar stool. We are relentlessly curious and are always keen to hear an idea for a new brew or concept. Combined restaurant, brewery, distillery and winery located in Margaret River. Born in 1995 in Denver Colorado, at The Sandlot Brewery. The beer Bellyslide Belgian Wit was hugely popular bringing home multiple awards from beer festivals around the world. Originally all our beers had baseball inspired names. With the chance to offer it to America a name was needed that was bigger than baseball. At an informal tasting, an executive assistant said ‘You know, a beer that tastes this good only comes around once in a blue moon’ and with that the Blue Moon Brewing Company began as Bellyslide Belgian Wit became Blue Moon Belgian White. Established in 2011, Boston Brewery is one of the first breweries in the Great Southern Region. A four and half hour drive south east of Perth, in the country town of Denmark, Western Australian you will find this one of a kind brewery situated between unpopulated scenic coastlines and untouched karri forests. Thinking local first in all aspects of the business, Boston Brewing Co. is always looking for ways to contribute to the sustainability of the Denmark community. Empty grain bags are used by the local Parks and Recreation for invasive weed collection, spent grain is given to local farmers to feed their stock, local produce is sourced whenever possible for the restaurant and donations are given to local community groups and sporting teams. Bright Tank Brewing Co. is all about quality craft beer made here in Perth Western Australia. Inside the tank beats the true heart of craft beer. Starting with our flagship Brooklyn Lager, the portfolio of Brooklyn Brewery has grown to a wide-ranging collection of beers, always keeping an eye to traditional brewing techniques, even as Brewmaster Garrett Oliver and his team seek to push the boundaries of beer. It’s now easy to find a smooth Brooklyn Lager, hoppy East IPA or roasty Brown Ale in your favorite watering holes. Each season brings beloved seasonals like Brooklyn Summer Ale and Brooklyn Black Chocolate Stout back to the shelves and taps, ushering in the joys of the changing weather. 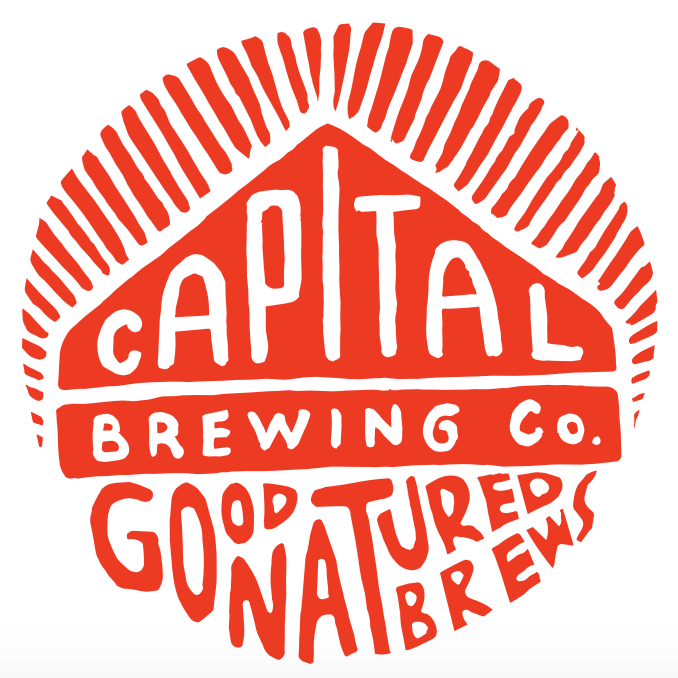 Good Natured Brews. That's our vibe. We're here to brew the best beer possible & appreciate the environment in which it's most enjoyed. We are a family owned Brewery nestled in the heart of the Margaret River Wine Region. We like to have FUN, our beers are FRESH, we are LOCAL and our food is DELICIOUS! Our beers are made in small 1000L batches with Margaret River Rain Water. We source premium hops, malts and yeast from around the world to brew the best beer possible. No preservatives, no additives and unpasteurised. Clare Valley Brewing Co is proud of the Clare region and its fine agriculture. We’ve set out to brew beers of a provincial nature, utilising the very best of Clare Valley. At our craft brewery, we focus on what makes beer great without all the hoopla. That doesn’t mean we aren’t fussy about how we make our beer, we just prefer to let the beer do the talking once it’s in a glass in front of you. This is because our story starts and finishes with the one of our most prized beer ingredients – people. Our beer is about substance over style, and founded on the belief that beer making is both an art form and great way to wind down. Simply put we believe in beer. We’re a unique Perth Hills destination steeped in history, with spectacular artisan ciders, wines and fruit wines. Add sublime views over the apple orchards and a Slightly Twisted crew to the mix and you can’t help but unwind. Here’s our formula: our orchard fresh apples and pears + obsessive compulsive attention to detail + cidermaking passion for quality over quantity = awesome ciders with unique characteristics. Why chose Dainton? Well the answer could lie in the “what” and the “who” we are… Who we are is a family of dedicated and tragic beer lovers crafting the best, freshest and most sessionable beers that we can. Why are we any different to any other beer label, brewery or brand out there? We have our fair share of shiny awards and that gives us some credence, sure… But why chose us over another? Well, whenever you purchase a Dainton beer you should know that as a family owned and operated company, we not only oversee (and taste) all our beers, but we stand behind our produce 100%. After all it has our name on it! Not only that, we’ve put our hearts, souls and hard-earned into making our passion a reality. This beer is our legacy and by drinking it you know you are supporting a family that has thrown everything into the kettle, so to speak! We hope you enjoy it as much as we love making it! Introducing Eagle Bay Brewing Co.
We are a family run venue with a passionate appetite to share our love of handcrafted brewing, wine making and local produce. Try our new and vibrant experience over long lunches with great beer, wine, food, staff, service and atmosphere. Brewed naturally, no short cuts, as fresh as it gets !!!!. Founded by two mates who got bored with IT. EXIT is a small Victorian craft brewery founded in 2014. But don’t let the word ‘small’ deceive you. United over a love of beer and inspired by the Belgians, Brits, Scandinavians, Italians, other random European nations, the US, Kiwis oh and some Australians too, who after a few years of home brewing, finally got sick of their real jobs and decided that this brewing adventure was worth pursuing. Come join us on our journey. I'm sure we will make lots of mistakes along the way but we'll certainly be making friends and trying to make some really interesting and tasty beers for all you lovely people out there. We’re obsessed with great IPA. Some would call it a Fixation, and so we did. We launched Fixation Brewing co. to make one thing, the best ipa possible. we are inspired by brewers all over the world, particularly the hop heads on the west coast of the usa. In case you forgot somewhere along the way: / Funk is where it's at. / There's no point being like everybody else anymore / Out with the old, in with the new, we say / Exit the boring, mass produced, over commercialised, concentrated-filled cider / Enter; natural, preservative free, wild fermented, barrel aged, fruit infused cider / That's why we call it funk cider / You don't get ordinary / You get what's called FUNK. In between Fremantle and Rottnest Island off the coast of Western Australia is a place called Gage Roads. We saw a lot of ourselves in this spot, that’s why we named our brewery after it. Goose Island has flown south from its Chicago roots to the best bars in Australia. We're an innovator and leader in the craft of brewing and strive to create beers that define styles, win awards, and captivate the hearts, imaginations, and palates of beer drinkers..
We produce a range of local and seasonal craft beers, served alongside the best Queensland seafood. Our beer is made on site in our brewery, which runs parallel to our bar in order to showcase the all natural and craft nature of our business. This is where all the action happens, from the creation of our recipes through the complete brewing process, to the tap and then into your glass! Come along and enjoy a craft beer or two in our rustic Teneriffe warehouse setting, watch our brewery in action, have a chat to our brewers and enjoy a plate of fresh local seafood. The story of Hopped Up Brewing started centuries ago with the invention of beer. Beer has literally waited hundreds of years for this moment in time, and now it’s excited. Yes, Hopped Up Brewing is now here. Welcome to the Indian Ocean Brewing Company, The Marina, Mindarie. Drop in and visit the Brew Crew and sample the award-winning handcrafted beers brewed on site by Head Brewer, Jack Purser. While you're here enjoy a bite to eat from the sensational menu featuring a range of oven-fired pizzas, flame-grilled meats & sensational desserts...All dishes expertly married to the Indi beer range. No bookings necessary at the Indi, just wander on down. Innate ~[adjective], Originating in the Mind, inherent, instinctive. At Innate Brewers we take immense pride in our role as awarded brewers within WA’s vibrant craft brewing industry. Our mission is simple. To deliver the freshest and the best beers in Perth and have some fun doing it. Devastatingly good Victorian beer, dedicated to perfecting the art of crafting only the finest brews. We also make Golden Axe Cider. This is a brewery built on Pale Ale – so much so in fact, that it was designed specifically to brew it the right way. Slowly, gently and patiently, our Pale takes nearly six weeks to brew, ferment, bottle and condition. We brought in the best hops we could find from the United States and started crafting a beer to startle the tastebuds of Aussie beer-drinkers and create a merry gang of flavour hounds. Mash Brewing has been part of the craft beer movement since 2006. We are proud of what we have achieved in those years and look forward to more success to come. We are not about producing the most beer and don’t particularly care for trends, we just like making good beer. We are famous for being seriously unserious. We believe that beer is about enjoying life and that shines through in all of our products. Matso's is the Kimberley's award wining microbrewery and is a true Broome treasure. The owners of Matso's Broome Brewery are committed to the Kimberley region and the Western Australian tourism industry with an investment in accommodation throughout the region. At the helm of Matso's Broome Brewery we are fortunate to have the services of Marcus Muller, a Master Brewer who has over 16 years brewing experience around the world. Marcus combines the finest natural ingredients, traditional time honoured brewing techniques and modern technology, to produce a range of beer styles that -above all else- aim to deliver flavour. We love making beer. But not just any old beer... We love making Really Ridiculously Fun Beer! For us, beer is meant to be fun. We like to be adventurous and innovative with our brewing, making beers that you get a buzz from drinking. Basically, we reckon you can put pretty much anything into a beer, as long as it's delicious! Mission: To produce the best craft beers in Australia and to grow the Australian craft beer industry. Fruit growers who create beautiful craft cider and cold pressed juice. Our products do not contain preservatives or additives, just apples + love!! Our mission is to create Australia’s finest craft cider and cold pressed juice from fruit grown in the Perth Hills of Western Australia. Nowhereman is rambunctious, free, unjudging and dedicated to its customers. Delivering world class hand crafted beers in a relaxed atmosphere and in other dedicated beer loving venues. Our Warehouse Bar focuses on the simple things; atmosphere, food, beer, and shared experiences. Founded in the back shed by Sunset Events – that motley crew otherwise known for dishing up the craftiest in aural rapture for nigh on two decades, with music festivals that are as uncompromising as they are unconventional – Otherside Brewing Co. is certainly not your average brewery…more a surrealist carnival that brews to the offbeat. Only the choicest, most expressive ingredients are sourced – and the beer crafted to best express these pristine and uncompromised components, making for refreshing and inspired drinking that truly befits our enigmatic home base: Fremantle, Australia. Welcome to the Otherside…where life’s a whole lot better! Well, obviously, Pirates are pretty cool. That said, we’re not actual Pirates. We just align with some of their ideals. Do what you want when and wherever you want, drink what you want, or even develop an unhealthy bout of scurvy. Not that we recommend the scurvy. Instead of stealing and pillaging tangible items of value, we take inspiration from interesting brewers and breweries, chefs and restaurants or even scientists and engineers. Good beer plays a big part in enriching our lives and that’s something we want to share with anyone’s nose and palate that is willing to tune in. Quiet Deeds was established in 2012 by childhood friends Patrick Ale & David Milstein. Both the guys studied Engineering and always had a dream of owning their own brewery. Like most Uni students they had zero cash but plenty of beer drinking experience. Not long after they graduated they started dabbling in the alcohol industry importing international beers with the bigger plan to make enough money to be able to build their own brewery. The meaning behind the Quiet Deeds name is all about sharing a beer with mates, Pat and Dave love nothing more than shouting a mate a beer, especially one they’ve made themselves. Our beers have a distinctive flavour and palate, developed from the Terroir of our Jindong property. It’s entirely unique to our production facility, no other brewery in the world has access to the same ingredients or control that we have. The Mediterranean climate of the southwest is widely regarded as a biodiversity hotspot, considered by many as a natural wonder of the world. Everything We Brew, We Grow. We are an independent employee owned business, the owners of the business run the business. The majority of everything we do is produced in- house and where possible, sourced locally. It’s an environment to try new things, with creative people passionate about their craft. A treacherous cove at Cape Conran is the inspiration for the name and the spirit of Sailor’s Grave, brews inspired by the ocean and rural living. A sea change and love for beer prompted Chris & Gab Moore to assemble East Gippsland’s newest brewery in the abandend 1893 Orbost Butter and Produce factory – not far from where Gabs grew up. Sailor’s Grave will make the most of the bountiful land around where they live and work, by incorporating indignous botanicals picked in the bush, salt, weed and sea life harvested from from river and ocean, fruits, grains & produce from local farms & orchards and wild yeasts from thair backyard. Chris and Gab plan to keep the beers approachable even when they get adventurous. The pair have big plans for an array of limited edition seasonally inspiresd beers. Beers from the deep sou'east. Born and raised in Byron Bay, Stone & Wood is proudly local and independent, brewing approachable, sessionable beer in the Northern Rivers of NSW. Inspired by the idea of creating a village brewery and with the vision of building a conscious business, we’re striving to do good in our community with beer that is simply good to drink. Less of a religion, more of a cult. We are proud of the stories behind all of our beers. The brewery is not only beautiful, it’s also incredibly energy efficient and reclaims waste water from the brewing process to be re-used in other tasks. It’s as sustainable as we could make it, all in an effort to have every aspect of Temple environmentally friendly. Nobody is more familiar with beer’s inspiration and passion than Peter McAppion, a proud WA local and zealous beer nut. Frustrated with beers that seemed all head and no body, Pete decided to grab conventional brewing tactics by the thorns. Knowing he could harmonise his broad knowledge base, Pete realised it was time to transform his frustration into inspiration. 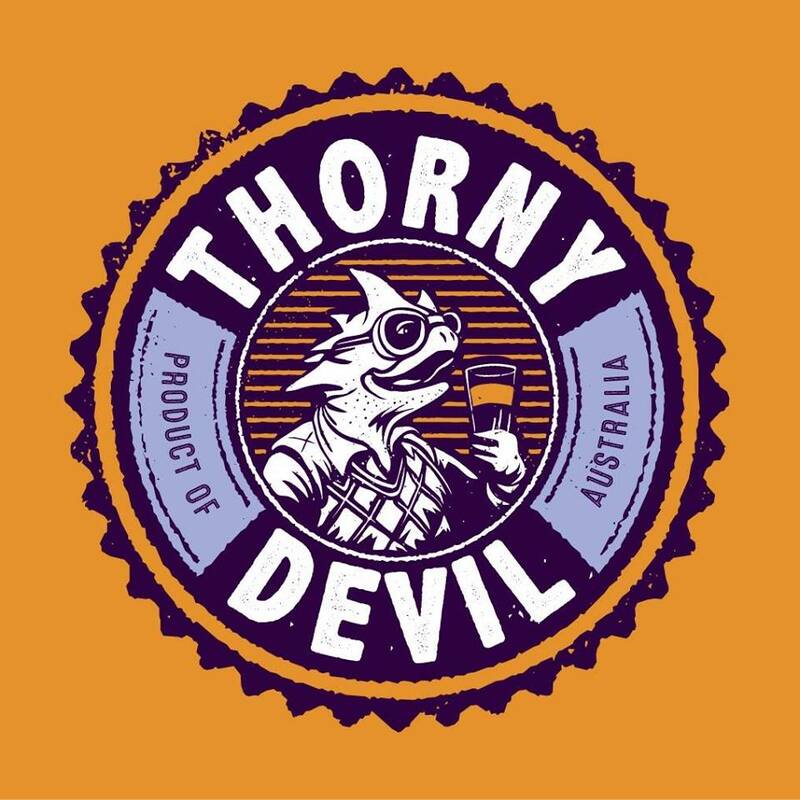 Out of this dream, Thorny Devil was born. Brews July 2016. Toasting new horizons in the West Garden at the Vernon Arms, home of good beer. Welcome. White Lakes Brewhouse; open from 4pm Fridays for Sunset Sessions and from 11am Saturdays & Sundays, with full Brewhouse Menu available. Vernon Arms Tavern; open seven days a week and featuring full range of WLB brews, plus In-Tavern dining for lunch and dinner. Brewing full flavoured 'Ales of Distinction' in Melbourne, Australia. Our mission is to make and distribute the finest quality, full flavoured, hop driven ales. We operate in a manner that promotes respect, creativity, sustainability and a sense of community, shared around a humble pint of ale. A Yak is a big hairy Mongolian cow-like thing. They are used by Mongolian nomads for warmth, work and companionship. So what does a Yak have to do with beer? Well they are big and hair, yet surprisingly approachable – just like our beers. We try to bring a light-hearted perspective to beer because we believe that life can get a bit boring if you take yourself too seriously. We love brewing beer and when you love what you do and have a good time doing it, it’s guaranteed to result in only good things. Like most good stories, ours started over a beer. Meeting on opposite sides of the bar, Richard Adamson and Oscar McMahon got talking. It turned out they both shared a love of beer and a view that the Sydney beer scene was behind the times. It should, they thought, be more adventurous, innovative and fun. Since Richard knew how to brew and Oscar knew all the ins and outs of hospitality, they figured they could do more than just talk. The first Young Henrys beers were brewed in March 2012. A big part of our brewing philosophy is built on keeping things local and reducing our environmental impact.